Our customers and partners trust Dell Technologies to deliver unparalleled products and solutions which drive their digital transformation. Trust and integrity are core values at Dell, embedded in our CultureCode and modeled by our team members each and every day. We act trustworthy and with integrity because it’s the right thing to do and because it’s who we are, not in anticipation of being recognized or rewarded for it. But when you do the right thing for the right reasons, it gets noticed. 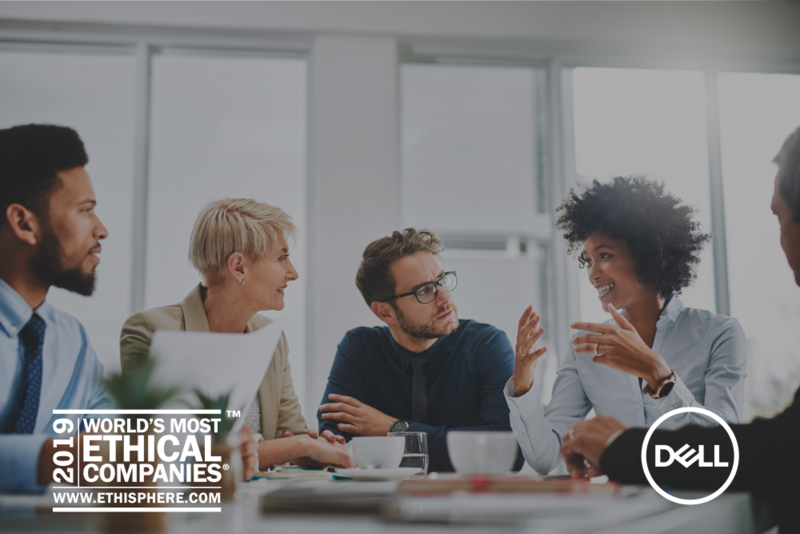 For the sixth consecutive year, Dell Technologies has been recognized by The Ethisphere Institute as one of the World’s Most Ethical Companies. This prestigious honor is awarded to a select group of companies each year who demonstrate trust and integrity in how they do business. At Dell Technologies, we believe that how we win is just as important as winning itself. Congratulations to all Dell Technologies team members around the globe. This award is a recognition of the important work you do for our customers every day and the high ethical standards you demonstrate in doing that work.